ShooFly, solar light, bug bands oh my!!! I’m always looking for items to have that may be useful on our annual road trip. Sometimes it’s to replace old stuff and sometimes it’s just because it’s a nifty item I want to try. Recently I’ve purchased a few items I hope will make this trip more enjoyable. The first one is called ShooFly. It’s a battery operated fly distracting device. When camping I hate flies. They get into you food, they land on you, they buzz your head. They are just gross. This clever looking device spins a couples strips of plastic with holographic stripes which supposedly keeps the flies away. We shall see. I’ll give a full report as soon as I try it out. Not so sure about this one. 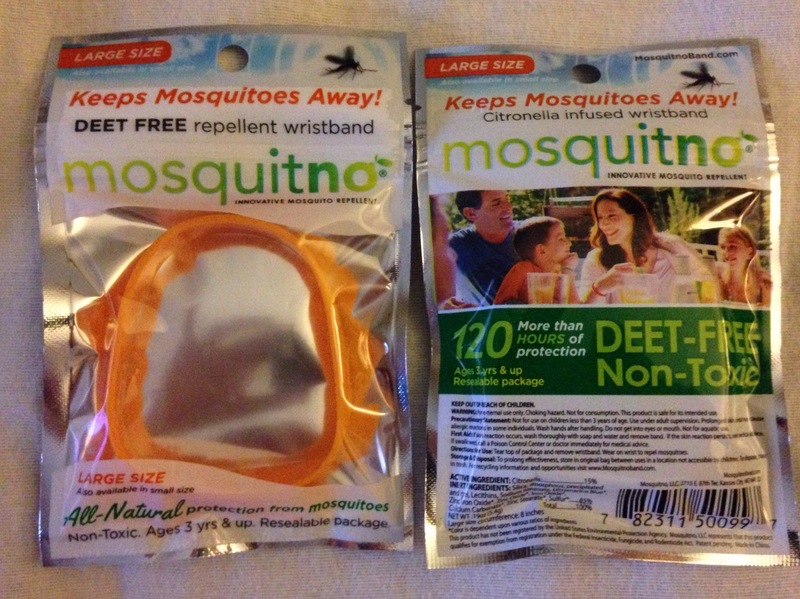 Next irritation on camping trip are mosquitoes. Sprays get in your mouth. Wipes leave you all sticky. Don’t get me wrong I’ll still be using those because hubby and I react badly to bites. Itching is a bad sensation while sitting in a truck for 8 hours. I bought these bands. 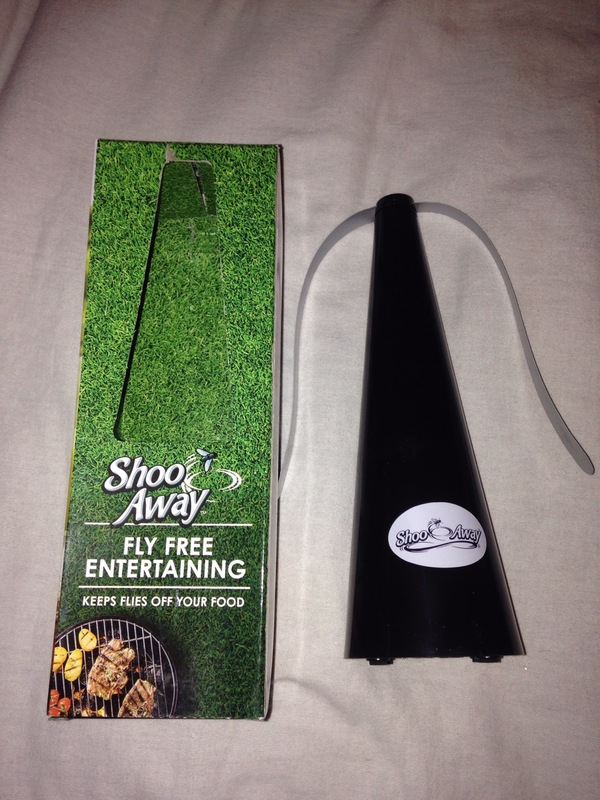 I’m even more skeptical of these working that the ShooFly. Again I’ll report to you my findings. Next is a fire starter. Hubby likes to make fire from scratch. No matches. It reminds me of how Tom Hanks acted in the movie Cast Away. Thumping his chest and yelling to nobody. “Look what I’ve created. I have made fire.” Must be a man thing. I know these work because each of my four boys have been given the key into manhood. Tasked with using these to start a camp fire. It’s just a fun thing and when it takes to long I pull out the matches. I’m impatient like that. Evolution makes this possible.He’s such a caveman. 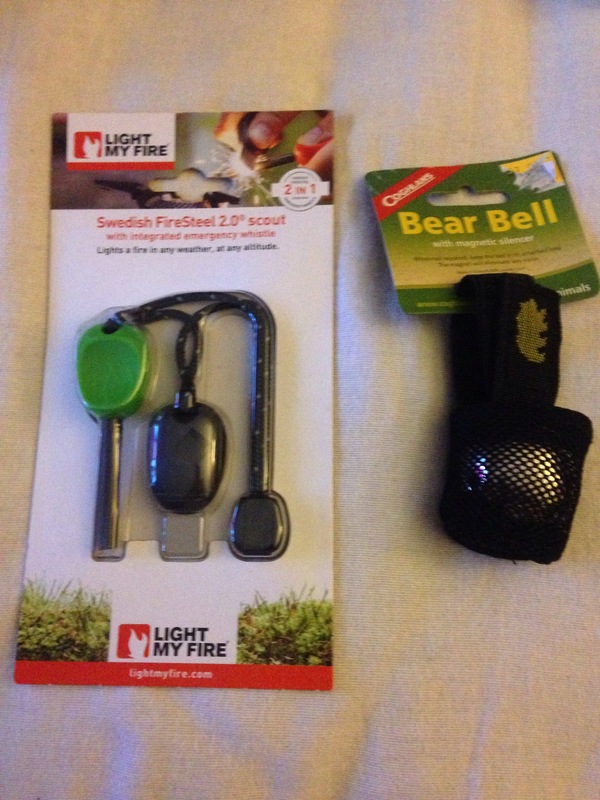 Bought a bear bell too. When camping you string it across an area to alert you to a bear approaching. Remember, I don’t have to outrun the bear, I only have to outrun you! Just thought I’d warn people now. Same goes during the Zombie Apocalypse. 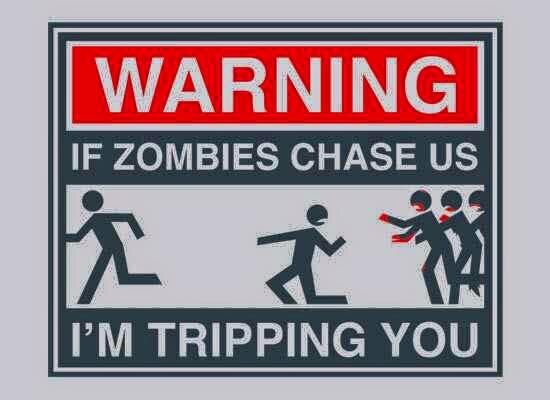 Pretty sure I’ll be tripping and pushing people down if danger is chasing me. If I am running stay out of my way or I’ll turn you into bait. Lastly is my favorite new find. I remember seeing this item on the TV show shark tank . 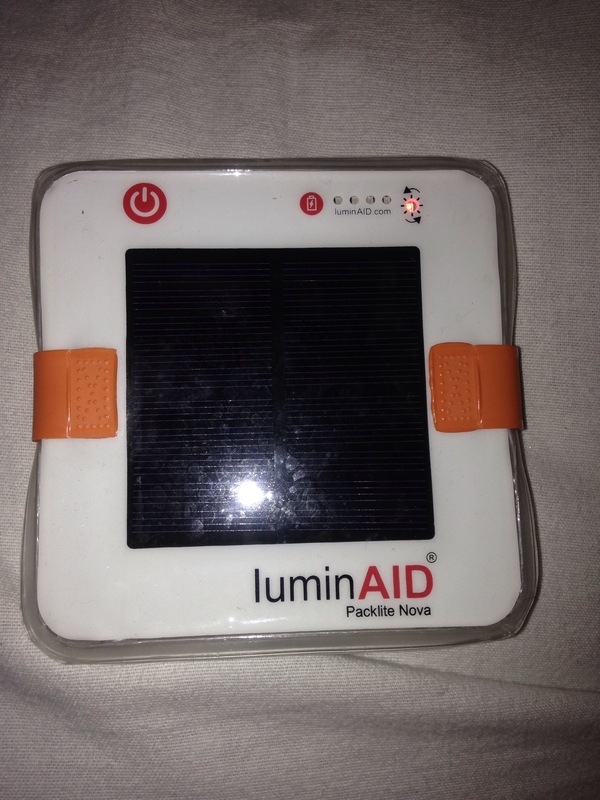 LuminAID is a solar, blow up lantern. 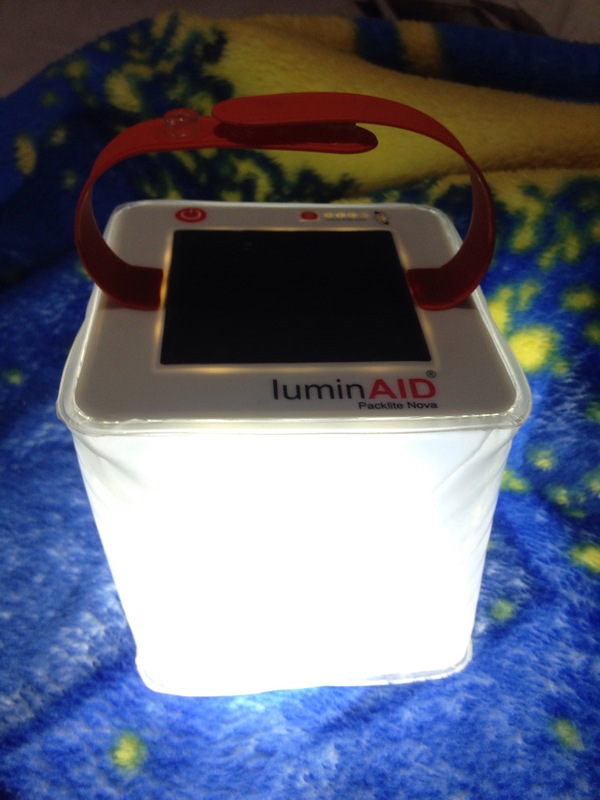 No batteries, no heat like a propane lantern, water proof, easy packing and affordable. I paid about $14.00 on amazon. I am excited to bring it with me into those dark campsite bathrooms and showers especially. The orange strap turned into a place to hang the light. It seems bright. Here’s a picture from a dark room in my house. Like I said, I will give my honest opinion on these items as I use them, I don’t get any compensation to review them. It’s just for my entertainment. Although I’m not opposed to the idea of free stuff or compensation . Just throwing it out there If anyone’s listening of course. Hello? Anyone? Anyhow,I hope you all are ready for this trip. I’m getting there. Now it’s time to pack this stuff up.